Nepal Makes History By Electing Its First Female President : The Two-Way The election, which took place Wednesday, makes Bidhya Devi Bhandari, 54, only the second person to hold this position since Nepal abolished the monarchy in 2008. 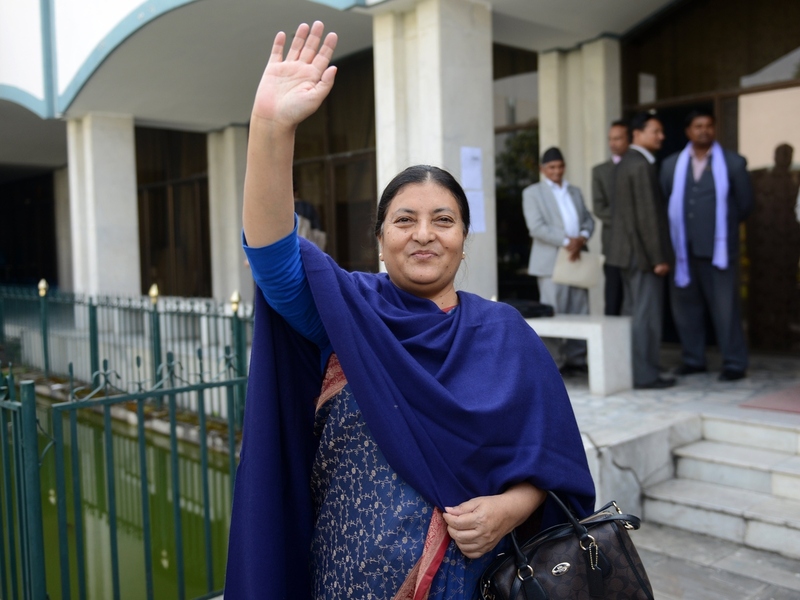 Bidhya Devi Bhandari, 54, is only the second person to be elected president since Nepal abolished its monarchy in 2008. The BBC reports that Bhandari, 54, is currently the deputy leader of the Communist Party of Nepal Unified Marxist-Leninist and that she served as defense minister from 2009-2011. A longtime advocate for the rights of women, Bhandari was elected to parliament after her late husband "was killed in a mysterious car crash." "Some have questioned her feminist credentials, as she supports citizenship laws they say are anti-women. Yet she helped ensure a one-third quota for women in parliament. "Now, as president, she's supreme commander of the armed forces. But her largely ceremonial role will probably restrict her from indulging in too much politics." Bhandari (center) celebrates Wednesday in Kathmandu after she was elected to be Nepal's new president. The Associated Press says Nepal's newly adopted constitution makes it mandatory that one-third of that nation's lawmakers be women. It also requires that women are part of all government committees. "Nepal has been trying to shift from a traditionally male-dominated society, where women are mostly limited to working at homes or on farms, to one in which women have equal access to opportunities and legal rights. 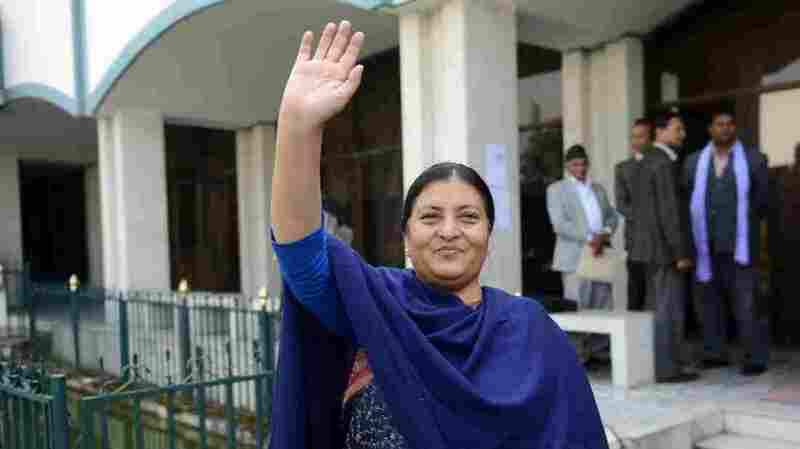 "Lawmakers cheered as Bhandari's name was announced as the new president. An ally and party colleague of Prime Minister Khadga Prasad Oli, Bhandari had been considered the favorite for the largely ceremonial job. "Bhandari said her election — by a vote of 327-214 against Congress party leader Kul Bahadur Gurung — marked a first step toward assuring the new constitutional guarantees of equality are fulfilled." She replaces Ram Baran Yadav, Nepal's first president who was elected in 2008 to a two-year term. The AP notes that the term "was extended when efforts to draft a new constitution stalled over seven years."